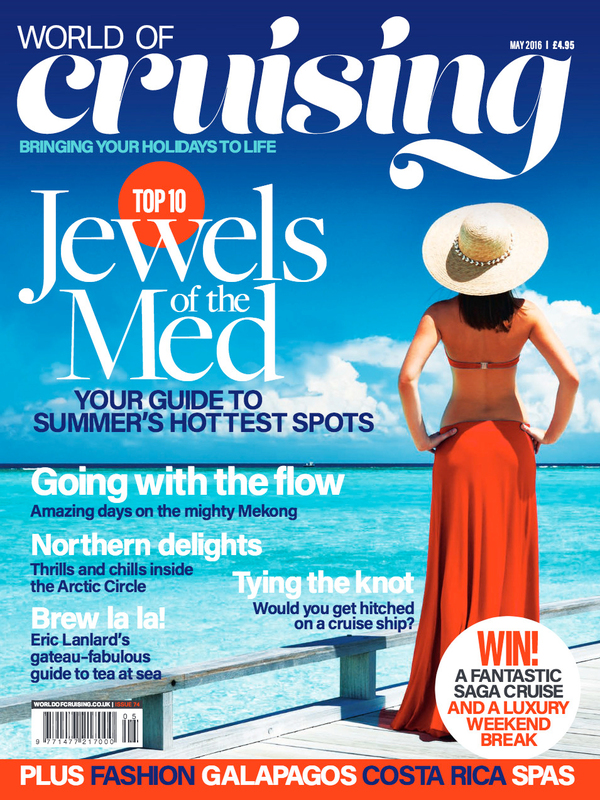 THIS IS MY FIRST ISSUE of World of Cruising, and as someone who loves editing magazines almost as much as going on cruises, I feel incredibly privileged to be at the helm of such a flagship publication. So thank you for joining me on the voyage. I’ve been a journalist for more years than I care to remember, but I’ve been hooked on cruising even longer. Since I was nine months old, in fact, when my parents took me aboard RMS Andes (anyone remember her?) for my first taste of salt spray and sea air. Apparently I loved it immediately – as did my own three daughters, now aged 9, 12, and 14 and enthusiastic veterans of countless kids’ clubs and midnight buffets. Whatever your age, there has never been a better time to go cruising, with ever more exciting ships and itineraries arriving at a rate of knots (turn to our On The Radar pages for all the latest news). This month we’re featuring an unforgettable trip down the Mekong River with World of Cruising’s former editor John Honeywell – now our esteemed Editor at Large – as well as an incredible journey in Darwin’s footsteps to the Galapagos, plus other-worldly experiences inside the Arctic Circle, a Mediterranean top ten and much more. I do hope you’ll enjoy reading this magazine as much as I’ve enjoyed putting it together, and that it inspires you to embark on your next voyage of a lifetime. I’d love to hear your views and share your seafaring stories. You can contact and follow me on Twitter @RobinsonCruises.